One of my favorite places on earth is Hawaii! 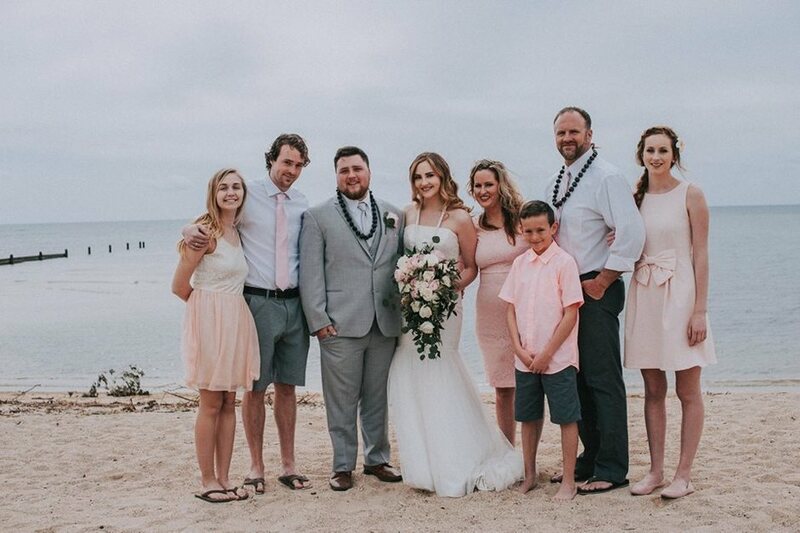 I was blessed to be able to visit Oahu last July for my oldest son's beach wedding, and then again in February where my daughter also got married. I am going back to Oahu for a vacation next month! I am very excited! I cannot get enough of Hawaii, or just about anything tropical. Hawaii is a part of my soul! Meanwhile, I am using Ola bath and body products to keep my skin healthy and beautiful. Ola Hawaiian Body Care specializes in giving you completely natural and organic spa and body products with intoxicating Hawaiian scents direct from Hilo, Hawaii. I was given the chance to review a couple of Ola Hawaiian Body Care. I was sent the Pua Hibiscus Volcanic Mask and the Plumeria Body Butter. Ola Tropical Apothecary’s Hibiscus Volcanic Mask is made with Bentonite Clay and Noni is packed with naturally active ingredients providing a highly extracting mask. This mask is suitable for all skin types including very sensitive skin. Passion Fruit oil is anti- inflammatory, high in anti-oxidants and essential fatty acids. Aloe Vera, Sugar Cane, Banana and Tropical Flower extracts cleanse, soothe and soften the skin. I use this fabulous mask twice each week. It leave my skin feeling perfectly clean and smooth. I usually use it in the evening, and apply it right after cleansing. I gently spread it all over my face and neck and leave it on for ten minutes before rinsing. 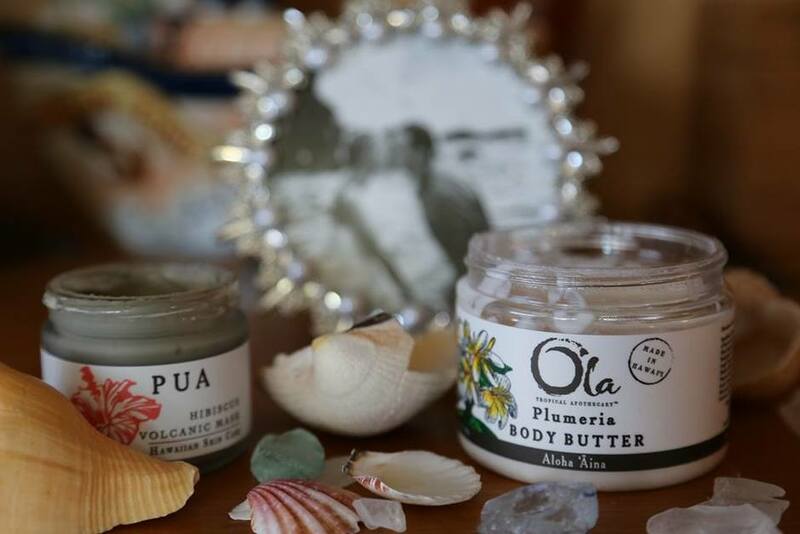 Ola’s Plumeria Body Butter is a luxuriously rich harmonizing blend of Organic Aloe Vera, Organic Virgin Coconut Oil, Organic Cocoa and OrganicMango Seed Butters. 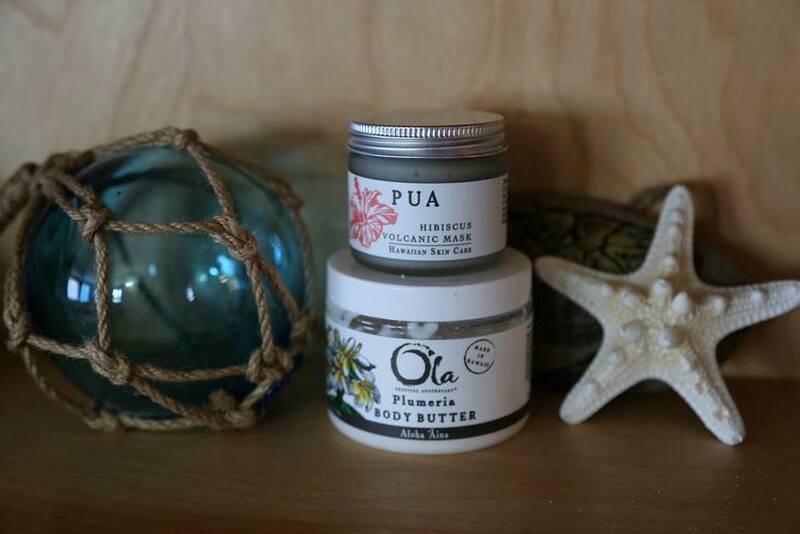 Infused with Ola's unique synergetic healing blend of Organic and Wildcrafted Hawaiian Botanical Distillates (Hawaiian Purple Sweet Potato, Banana, Seaweeds, Aloe Vera, Sugar Cane, Bamboo, Ginger, Noni, Olena and Taro), to create this creamy, luxurious formula that will repair, replenish and moisturize dry, thirsty skin. I use this luxurious plumeria body butter every evening after my shower. I prefer to apply it when my skin is still damp, to seal in the moisture. The intoxicating fragrance of plumeria is pure heaven and brings me right back to the tropics. I love how it contains all natural ingredients, too!  Get Your Skin Bare-Worthy for Spring! BioElixia Can Help! "It’s not what goes onto the skin but what goes into the skin that matters." 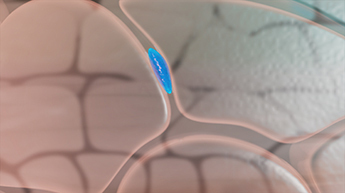 The BioElixia® message is that TPM® Dermal Delivery Technology delivers more key cosmetic ingredients to where they are needed most. This patented system, derived from natural Vitamin E, is a non-irritant delivery technology which assists key anti-ageing ingredients to be safely and effectively absorbed into the skin. The result for you? Products that visibly improve the appearance of smoother, younger-looking skin. 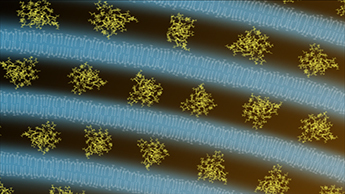 The multi-layered structure of TPM® (like the layers of an onion) enables it to encapsulate known cosmetic ingredients within its layers, protecting their integrity and allowing effective delivery into the skin for visible anti-aging results. 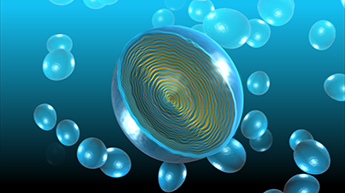 TPM® Dermal Delivery Technology is formulated into each BioElixia® formula and is backed by more than 14 years scientific research. Once BioElixia® products are applied to the skin, our advanced TPM® technology safely and effectively assists key ingredient absorption, to provide superior efficacy. TPM® Dermal Delivery Technology, in combination with the most advanced cosmetic ingredients and lightweight soft-to-the-touch formulas, enables us to formulate products that offer results-orientated solutions for your skin. I was sent products from BioElixia to review. I received: Body Shaper Cellulite Control Creme, Body Shaper Stretch Mark Diminishing Creme, and Body Shaper Firming Toning Body Lotion. Struggling with cellulite? Looking for a cellulite cream that is scientifically proven to work? This powerful cellulite cream delivers more key ingredients to where they are needed most, smoothing away bumpy thighs. 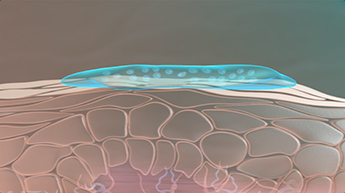 Natural ingredients like caffeine and forskolin visibly improve the appearance of cellulite, while retinol initiates the feeling of skin rejuvenation, elasticity and firmness.These ingredients are delivered into the skin using our patented TPM® Dermal Delivery Technology The end result for you? 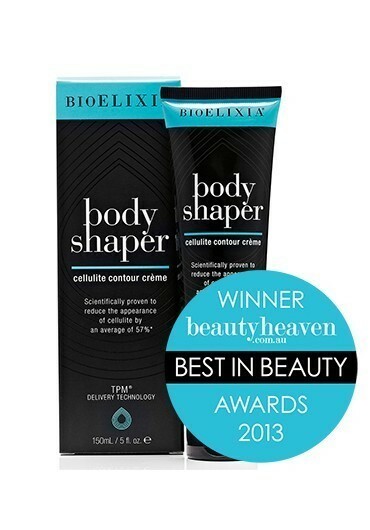 A reduction in the appearance of cellulite and visibly smoother skin. My Experience: After using this product on my cellulite areas for about one week now, I am astonished to see that there is a new firmness to those areas. My skin looks more taut and therefore the cellulite seems diminished. I plan to keep using the product every single day after my shower at night and in the morning before I get dressed. I have been applying it to my buttocks and thighs. I am thrilled to already see an improvement after such a short amount of time! Sretch mark cream helps improve the visible appearance of stretch marks and skin texture while leaving the skin feeling smoother and softer. This powerful cream delivers more key ingredients to where they are needed most with our world patented TPM® Dermal Delivery Technology. Provides a visible improvement in the appearance of stretch marks by an average of 46%* after 4 weeks of use, and 87%* after 8 weeks of use. My Experience: I have only been using this products for about a week, and so I do not have much progress that I can actually see yet.I like how it absorbs completely into my affected areas. My stretch marks are old ones. 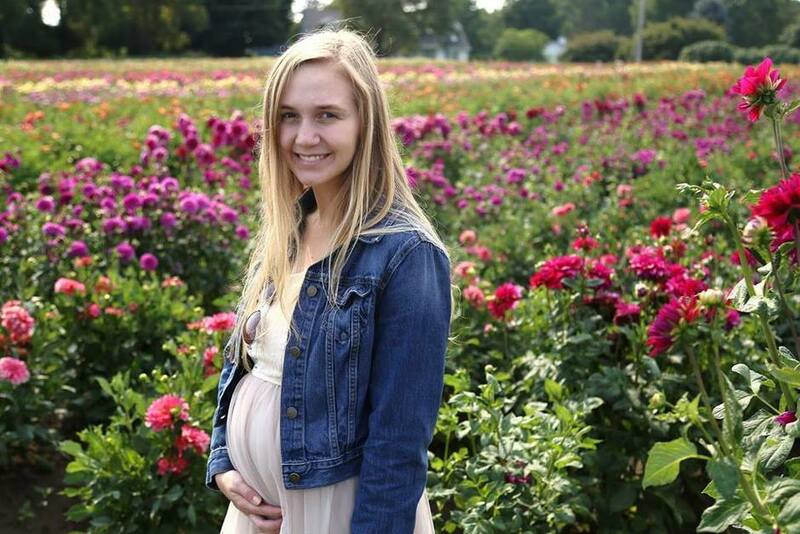 They came to be when I only weighed 120 pounds with my first pregnancy. The doctors were worried that I was not gaining weight and thus, put me on a high caloric diet. Well, it must have worked because in only four months I ballooned up to 170 pounds. My poor skin! I have stretch marks in places you would not believe! (Not on my tummy, however, which is strange.) Anyway, I am committed to using this product on all of my dozen or so stretch marks and hopefully I will see some miracles happen. A daily lotion designed with the super moisturising properties of aloe vera, shea butter and passionfruit seed oil, and the firming properties of caffeine to visibly tone the appearance of the skin. This powerful lotion delivers more key ingredients to where they are needed most with our world patented TPM® Dermal Delivery Technology. My Experience: This is my new favorite after-shower body lotion. It has the skin firming ingredients that my skin is needing at this time in my life. I slather it on while my skin is still damp right after my shower so that I seal in essential moisture. I have definitely noticed a firmness to my skin, especially my tummy and under my arms. I love it! Disclaimer I was sent these products to review and to keep. All opinions are my own. 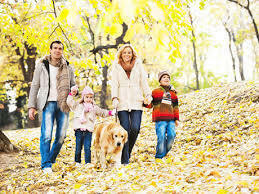  Fall Essentials for Happy Healthy Families! With the cooler weather of Fall upon us, it is important to find products that will help us take better care of our families. 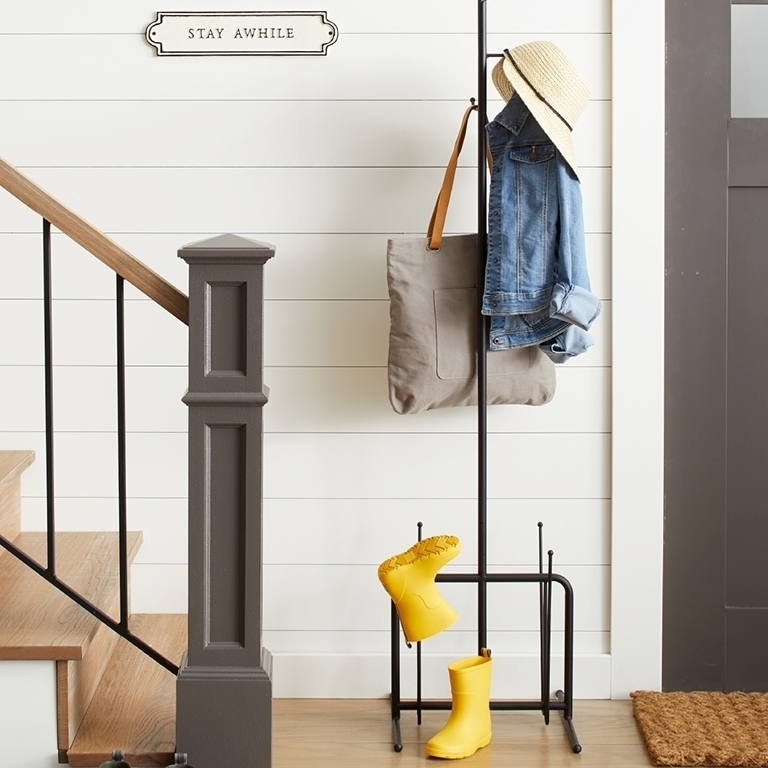 When you have a big family like I do, it is necessary to have a variety of useful products around your home to ensure that those you love have what they need to get through this cooler weather, dry-skin, cough and cold season. In my home, there are certain products that my family has come to rely on. One of those is definitely Ocean Saline Nasal Spray, Ocean for Kids as well as Ocean Complete Sinus Rinse. It is definitely getting to be cold season in my home. 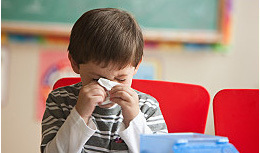 As my children go to school each day, they are bombarded with an entire menagerie of germs. It seems everybody is getting a stuffy nose around here. I do not allow my children to use the highly chemically laden- not to mention addictive nasal sprays for relief. Ocean Saline Nasal Care works perfectly without any harmful additives. 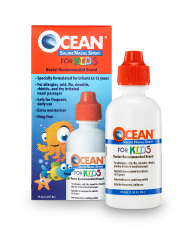 Ocean for Kids is perfect for my little boy, Braxton, because his nasal passages are much smaller. 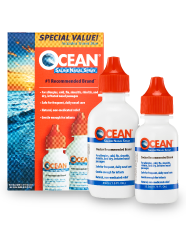 OCEAN® Saline Nasal Spray is the original, #1 pharmacist-recommended nasal saline moisturizer. It offers natural, non-medicated relief for dry, irritated nasal passages due to allergies, colds, flu, rhinitis and sinusitis. It is safe for frequent daily nasal care and is gentle enough for infants. Natural, non-medicated OCEAN for Kids® Saline Nasal Spray for infants and children has a smaller spray tip to fit little noses and contains glycerin for extra moisturization. Instantly soothes dry irritated nasal passages and is safe for frequent, daily use. 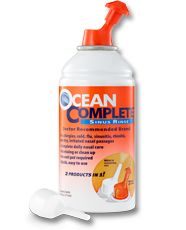 OCEAN Complete® Sinus Rinse provides two convenient delivery nozzles in one product for sinus cleansing and nasal moisturizing. Contents are sterile, premixed, and no neti pot is required. The preservative-free salt blend formula is non-medicated and safe for frequent daily use. When recovering from nasal surgery, rinsing with a sterile saline product can help to avoid future nasal secretions from becoming trapped in the sinuses and a moisturizing mist can help return moisture to sensitive nasal tissue. Along with cough, colds and illness, this cooler weather often brings dry skin with it. I have three teenagers who are often complaining about the changes in their skin, and they have been asking me what they can use to relieve it. I tell them that your skincare routine should lways begin in the shower. That means making sure that they are not using any body washes or soap which may contain harsh chemicals, which can aggrivate sensitive skin and add to the dryness they are experiencing. I always recommend a good soap-free cleanser. PURPOSE® Gentle Cleansing Bar cleanses thoroughly, yet gently and will not overdry the skin. it removes body oils, dirt and even makeup. It is perfect for the entire family! PURPOSE® Gentle Cleansing Bar lathers delicately and cleanses away dirt and oil without over-drying your skin. Available in 6.0 oz. and 3.6 oz. bars, this mild cleansing product leaves your skin feeling soft, smooth, clean and refreshed. Visit http://www.purposeskincare.com to learn more. In keeping the skin hydrated, it is crucial to have a moisturizer on hand that can work for the needs of the entire family. We use CeraVe® Moisturizing Cream because it It penetrates deeply into the skin to moisturize and nourish skin throughout the day while “locking in” precious moisture. It is important to apply it all over your body while your skin is still damp from the shower so that it locks in moisture and protects the skin. It is a gentle, unscented rich cream that works well on every member of my family. We all use it and love it! CeraVe® Moisturizing Cream increases the skin’s ability to attract, hold and distribute moisture. It penetrates deeply into the layers of the stratum corneum (the skin barrier) to restore the balance of lipids that are essential for an effective skin barrier. 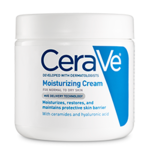 CeraVe® Moisturizing Cream also forms a protective layer over the skin’s surface to help prevent moisture loss. 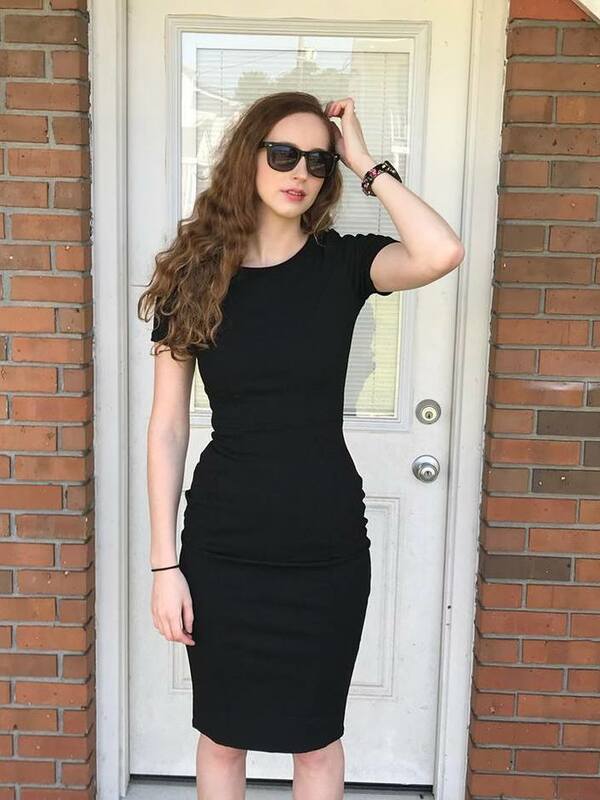 My teenage daughters need products that will do the job quickly yet effectively when it comes to getting out the door in the morning on time for school. That means having a facial cleanser that removes even the makeup that they left on the night before from a late homework session. (Alas, I am guilty of that from my own past.) So Fresh and So Clean Wet Cleansing & Make up Remover Towelettes are the perfect solution for perfect and thorough facial cleansing. My girls stick them in their purses to have them on hand for convenient any time over nighters or just touching up their makeup after walking to the bus stop in the rain. So Fresh So Clean Make-up Cleansing Towelettes nourish skin while removing face & eye makeup, even waterproof mascara. This formulation helps to condition and soothe skin- it leaves no greasy residue and is hypoallergenic. Another product that my daughters and I just cannot live without, especially during our monthly times of extra oily skin are AcneFree 2-in-1 Acne Wipes. Not only do these amazing wipes help to keep 'monthly' breakouts at bay, but they also help to control back acne, which tends to happen when we wear extra clothing during this cooler season and our skin isn't able to 'breathe' so it breaks out. These wipes are large enough to use on your face as well as across your back and shoulder area. With no need to rinse after use, the 2-in-1 Acne Wipes are perfect for on-the-spot treatment. The oil-free wipes feature 0.5% Salicylic Acid, a dermatologist-recommended acne medication that helps to prevent breakouts and keeps pores open and clear of impurities. 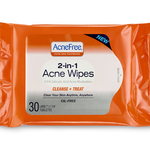 Disposable AcneFree 2-in-1 Acne Wipes are available in a convenient, re-sealable plastic pouch. And for me, Mom, there is HELIOCARE. Even in the Fall, I can get sun damage. Combined with all the sun exposure I put my skin through in the past, I must do ALL that I can now to protect my skin. While I do use sunscreen every day, I still want to make sure I am going above and beyong in my quest to protect my skin. 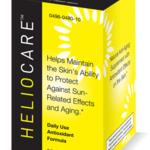 HELIOCARE®’s daily use antioxidant formula helps maintain my skin’s ability to protect against sun-related effects and aging. Heaven knows I will do everything I can to keep my skin looking youthful! HELIOCARE delivers antioxidants that start helping protect the skin from the first day you take it. Heliocare’s active extract contains antioxidants, which aid in eliminating free radicals produced by sun exposure. A reduction in these potentially dangerous free radicals helps to maintain younger, more resilient skin. Even in the Fall and winter months when I am not showing much of any skin, I still want to keep my legs closely shaved and silky. That’s just how I am and always will be. With my skin being drier, shaving creams and soaps often aggravate the condition, making it harder to shave my legs and underarms without getting razor burn. I have found the perfect solution with Somersets Shaving Oils. I simply massage a few drops of this wonderful oil onto the area I am going to shave and it softens the stubble for a very close and perfect shave. I love it! Unlike aerosol shaving foams, Somersets is a blend of 100% natural plant oils like lavender, rosemary and tea tree. Just rub three drops into your stubble and instantly feel the difference. Get your skin to a better place. A place called Somerset. Whenever I go into my favorite store on earth, Sephora, I go absolutely crazy. I could get lost in there. One of my favorite products is definitely the Soap and Glory line. I always make a beeline right on over to check them out. I absolutely love Soap and Glory. They have the most luxurious products ever! Their clever pink packaging is alluring in itself. The lotions and body creams feel absolutely heavenly on my skin and they smell de-licious! When I got the chance to review Soap and Glory on my blog, I was beyond excited! I got to try Butter Yourself smoothing body cream, Hand Food hydrating hand cream, and Clear Here daily moisture lotion. In fact, when the box came in the mail, my teenage daughters opened it and I had to quickly track down the products. My girls had claimed them! I quickly let them know that we were all going to share these products. The first product I got to try was the Hand Food cream. Ooh la la, it makes my hands feel so very soft and smooth. It lasts awhile too. My hands felt hydrated even after washing them, which is a plus. I need a good long lasting hand cream, especially this time of year when my hands easily get chapped. Hand Food hand cream contains shea butter, macadamia oil and marshmallow . It smells wonderful and I love it! After my nightly shower, I slathered on my Butter Yourself body butter. It felt like the most luxurious body moisturizer I have ever tried. It was light and fluffy and smelled like grapefruit to me. It even had a cooling sensation. It made my skin very silky with no greasy residue. I felt very pampered and oh, so fresh! This fruity body moisturiser contains exfoliating AHAs, orange waterjuice™, shea butter, peppermint oil & fruitliquid fig. Scented with Soap and Glory's new Fruitigo™ fragrance. The next morning I tried the Clear Here daily moisture lotion before I applied my makeup. This lotion is cleverly formulated to help smooth and protect the skin, prevent blemishes, fight shine, reduce deep-down pore clogging, shrink visible pore size and fight spot-causing bacteria. I love how it made my skin feel moisturized, but kept my face matte all day long without shine. Perfect! Disclaimer: I received samples of the products listed above to review and to keep. The opinions expressed are my own. 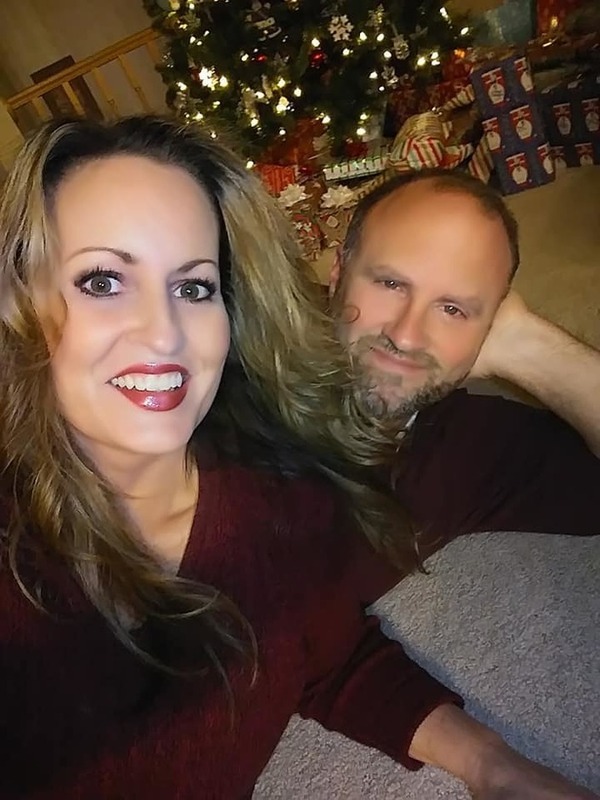 I know what it is like to be pregnant and be worried about putting and kinds of creams or lotions on my growing belly, or on any of my skin even after the baby was born. (I wouldn’t want to harm my baby from some ingredient that could be harmful to my growing baby or while I was breastfeeding my baby. Using Medicine Mama you can share the joy of radiant skin through all the stages of growth, from pregnancy to baby’s first steps. Helps maintain skin’s elasticity during pregnancy, birth & postpartum. Soothes sensitive skin from nursing. My friend is having a baby at the end of April, and I plan to put together a gift basket of Mommy/baby items, and I will definitely be adding Medicine Mama Gentle Nourishing Skin Cream. I am certain that Tara will love it! It is always nice to have something that the new mother can enjoy using right along with her new bundle of joy. I recieved a sample of Medicine Mama Gentle Nourishing Skin Cream. The opinions are my own.  Calgon, Take Me Away! Calgon, take me away! We are all familiar with that phrase, aren't we? To me there is nothing better to melt away my stress at the end of the day than a luxurious relaxing bath. Calgon's bath products are my idea of lu xury and relaxation. Last night was one such night where I needed some "ME" time, so I filled up my tub and added aCalgon's fizzy bath tablet. The bubblessmelled like a beautiful floral bouquet. My skin felt refreshed and soft afterward. I applied my nourishing Body Cream, called Tropical Dream. I don't know that I have ever felt such softness from a body cream. I LOVE it! It smells beautiful and makes my skin very silky. I smelled so nice and felt so very cozy when I went to bed. I love Calgon Products! High end luxury for a very low price!